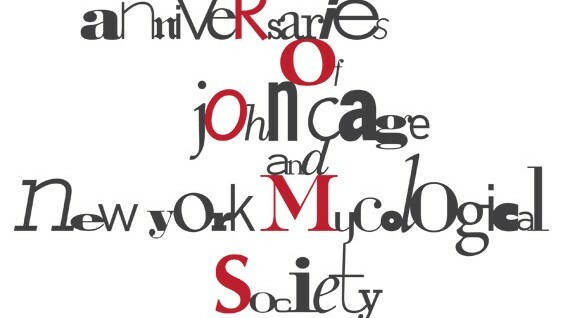 (August 2012, New York) A celebration of the 50th anniversary of New York Mycological Society, a not-for-profit membership organization dedicated to educating the public about mushrooms and the centenary of its founder, composer John Cage. The Society is celebrating with a presentation — in theater and in exhibition — that explores a life in mushrooms of John Cage. The theatrical event, to be held in the Great Hall on Saturday, September 8, will be a grand multi-media Cagean simultaneity featuring live performances by Jonas Mekas, Jim Kerr, Gary Lincoff and Chris Mann. There will be a special realization of Cage’s 49 Waltzes for the Five Boroughs and a lively visual backdrop of mushroom stills and movies collected and produced over the last fifty years. Well-Preserved: Recipes and Techniques for Putting Up Small Batches of Seasonal Foods). The gallery event, September 7 & 8 will feature the first complete exhibition of the Lois Long and John Cage's Mushroom Book. This mounting is a signal event that marks an effort by the John Cage Trust, in collaboration with the NYMS, to make these lithographs more widely available. The gallery will also have ephemera from NYMS archives, mushroom art by present and former NYMS members, and a display of mushroom specimens collected from the NYC environment. These programs are being held as a benefit for the NYMS and the John Cage Trust. The musical life of John Cage is amply documented. His Beethoven-sized catalog stands on its own as testament to a fertile mind. Manifold volumes of criticism, encomiums, books, interviews and his literary output amplify his musical influence. His interest in mycology is well known but there are few accounts of his work in this field. We have his own words scattered throughout his writings and a few articles by friends and associates. As a dedicated chowhound he was always foraging. And while he brought a valedictory mind to his mycological pursuits, he remained the brilliant student but did not add to the scientific mycological literature. The myco-legacy that does remain is embodied in the lore of the New York Mycological Society, which arose from a course in mushroom identification that he taught at the New School for Social Research in the fall of 1962. The Society was founded as a solution to a problem facing him: the management of mushroom walks and lectures required manpower that he alone could not provide. Tonight we hope the audience will enjoy the sights and sounds of the mushroom hunt, Cage's and other NYMS members' stories culled and perhaps burnished in time. You will hear and see an eclectic mix of eccentric New Yorkers. There is Gwen Fabricant's account of her summer in Cage's Stony Point house, which led her, as it did Cage himself, to explore the fungal flora outside the door. Laurette Reisman née Shapiro, one of the members of that New School class, tells us about those beginning days. Gary Lincoff, Howard Goldstein, Ralph Cox and others will figure into tonight's presentation. Many of our more recent members are also making contributions tonight in sound and in film. And, after all, what would be the fun in a gathering of mushroomers without a good tale or two of mushroom poisoning (survived)! From stories like these we see that Cage's mushroom legacy lives on. We hope you take joy in the delight we all share.